Every tiny step forward involves boatloads of research, falling down cyber rabbit holes, re-thinking things I thought I’d decided on, and many other progress inhibitors. On the up side, I’m learning lots and while I could be doing the designing in SketchUp, I totally love going old school with graph paper, mechanical pencils and my triangular engineering ruler. 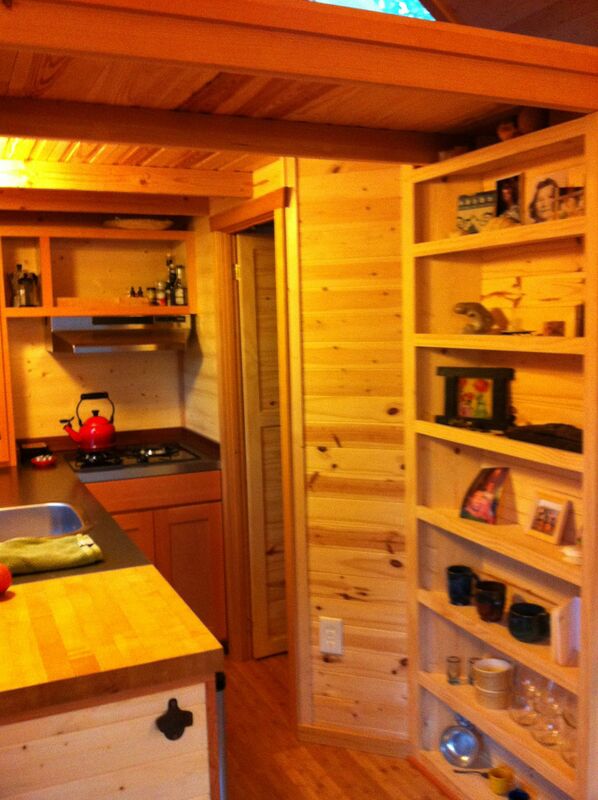 They seem in keeping with the whole simplicity of a tiny house…plus they just feel good. Since I knew I was going to meet with Dee (PAD – Portland Alternative Dwellings) last weekend, I was hoping to have a first draft of the final designs for us to go over (it feels like I’m in architecture grad school on top of working – my social life has pretty much gone on hold for the moment!). However, there were some critical issues that I needed to figure out before I could go further, specifically around the floor framing with the wider trailer, window placement, shower size and loft design. 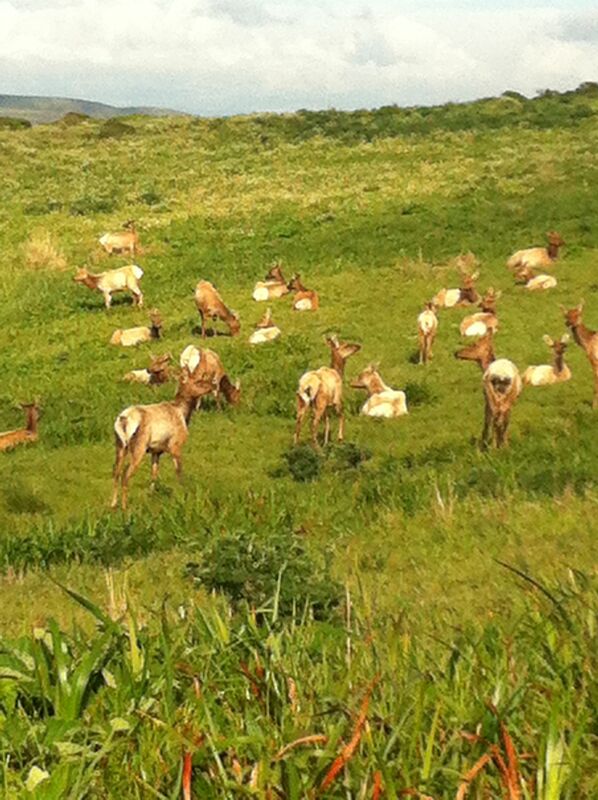 Okay, it hasn’t been all work – I did take a break to go hiking amongst the tule elk and wild iris at Point Reyes! Dee provided awesome feedback and advice so I am now back at it. 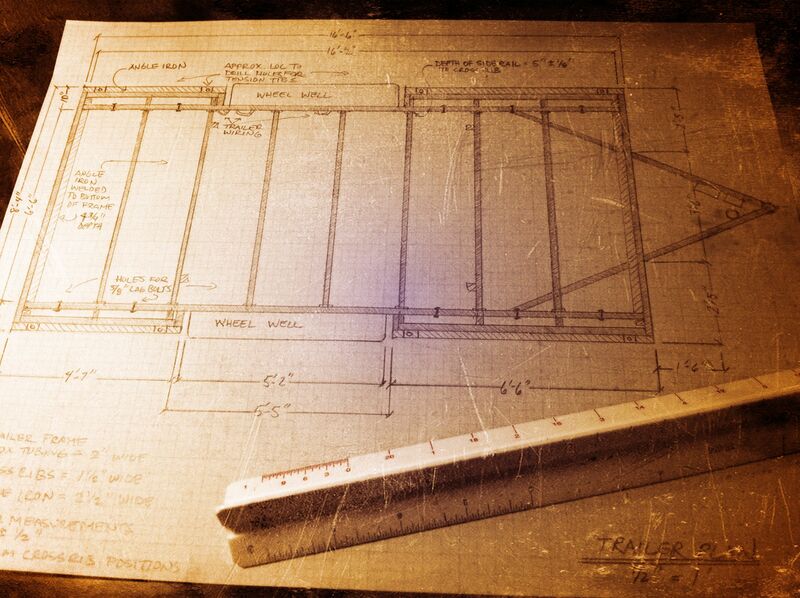 I need to have the plans done by mid-May at the latest to order materials to start building in June. I’m still working on my specific dates but I plan on taking four weeks off to get as far as I can, hopefully have the exterior pretty much completed. I will then go up for shorter stints as I can get away from work until this puppy (kitten?) is done. Also had a chance to spend more time at Gina’s tiny house, designed and built by PAD, and hang out at POD49 with Joan, Rita and Dee – always a pleasure. Once the designs are done, I will start getting down to brass tacks – pulling my materials list together and pricing things out. While I was in Oregon, I checked out where to source materials. In my parents’ small town where I’ll be building, there is a locally-owned medium sized lumber store and a huge brand new ACE hardware store, plus a wonderful small millworks that mills lumber just a couple blocks from my build site. The people at the millworks were great to talk to and I can also order my windows and roofing through them. If needed, there’s a Home Depot the next town over or I can always go into Portland. Kirei board and coco samples for interior panelling and other uses at Sustain Eco-Interiors + Design. Made from materials like sorghum straw and reclaimed coconut shells, and with low VOC resins. Reclaimed lumber at Sustain Eco-Interiors + Design. Richlite counter materials made from paper at Sustain Eco-Interiors + Design. Also made a stop at IKEA to look at sink and rack options, and my mom bought a SUNNAN solar-powered LED table light to test out for possible tiny house use. No need to plug it in, it has its own mini solar panel and costs $20. Here’s a review from Inhabitat. For every SUNNAN solar lamp sold, the IKEA Foundation donates one to UNICEF and Save the Children to help children in India and Pakistan play, read, write and study after dusk. Lack of electricity in some parts of India means that many children are unable to study when darkness falls, having a lasting impact on their future opportunities. To help ensure children can continue their education, the IKEA Foundation has donated over 90,000 Sunnan solar-powered lamps through UNICEF. Last weekend I also had my first hands-on building experience which was completely unexpected and super cool. I got to help do the “pre-build” of the tiny house being used as part of PAD’s construction workshop that happened this weekend. 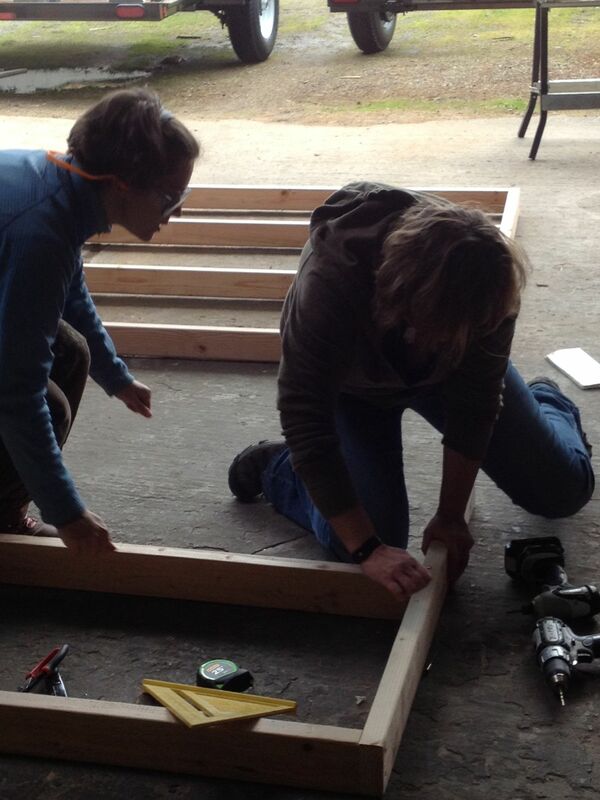 This involved framing up one of the walls and constructing the floor on the trailer. Many thanks to Dee, Derin Williams (Shelter Wise, LLC), and Lina Menard (This is the Little Life) for showing me the ropes on using a chop saw and tricks for framing. Great company and a wealth of information between all of them. It was really good to get a sense of what to expect when I start my build (note to self: get thee to the gym to work more on your delts and glutes!). I’m looking into ways to get some more construction experience before I tackle my house. Another fortuitous discovery was meeting Steffen, the 6’7″ Dane who lives next to my parents. Turns out he’s a builder and is very excited about my tiny house project. It will be great having him as another resource when I bump into the inevitable thorny construction problems. And on an unrelated note, last weekend I also started to build a ramp for my parent’s dog, Lucy, to get in their car, but unfortunately had to leave for the airport before it was finished. 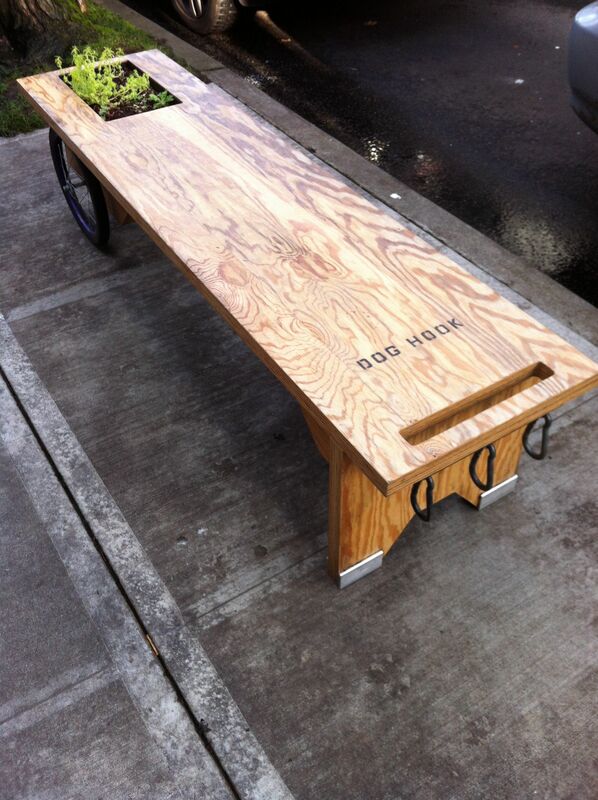 No dog ramp photo but this was a cool bench/planter box/dog tether in Portland. Love the simple and ingenious mobile design. So that’s what’s going on. I’m really loving the design process but am chomping at the bit to get building, and looking forward to spending a month in Oregon! My name is Jenn. Dee thought that we should know each other so I thought I would say howdy. I live in Olympia and just finished my tiny house last November. I also designed it with paper and pencil so it was nice to see someone else working in that way too! If you are ever in Olympia I would happily give you the mini tour. My house is 18′ and built out to the edge of the wheel wells, has an installed mini wood stove, a guest bed and plumbing for an outdoor shower. Or..whenever I am in Portland, which is fairly often, I would love to meet up with you and talk tiny house design if you are interested in that. I’m am really interested in other peoples design process since it was so involved for me. At any rate, I love your blog! Thanks for sharing your tiny journey on the interwebs. Hi Jenn! I know of you too through Dee – thanks for connecting. I would love to see your house and/or chat in Portland. I live in CA but will be up in Oregon for most of June as I start building. I might also get up there one weekend in May. I’ll get in touch once I know my schedule. Ironically, since I wrote this post I saw some benefits to designing in 3D so have switched over to SketchUp. I still really like the 2D approach, and needed it to clarify my conceptual plans better, but it’s also pretty cool that you can build a virtual house just like you would in the physical realm – it’s helping me think through each construction stage. It’s been a crash course in 3D design this weekend! Have you looked into SIPS? We used them and our subfloor and walls literally went up in just two days. Factory square, stronger, better insulated, MUCH faster construction… you do pay a bit more and might have to travel to get them, but to me they seem like the way to go with tiny houses, especially considering how little construction experience a lot of people have. Also dig the paper and pencil. Never could figure out Sketchup. Hi Esther – sorry it’s taken me so long to reply. I was building my floor and walls the LONG way. I find SIPS fascinating but in the end wanted to use wool for insulation so went traditional. So glad to hear it worked for you. I just took a quick look at your blog (http://kennyandestherstinyhouse.blogspot.com/) and love your house! Can’t believe I haven’t seen it before. When I have a moment I want to go back through it in more detail – looks like a lot of good information. I did end up using Sketchup but it did have a bit of a learning curve. I think, as in most things, there are pros and cons to both approaches. Good luck with finding a parking place – I’ll be following your progress with interest.